Our firm focuses on either single family, or multifamily residential homes – available for occupation and other non-business purposes. The process of residential real estate entails a number of different facets, including contract drafting, legal mediation, terms of sale, negotiation, preparation, revision of legal documents, instruments of acquisition, leasing, lending, and more! Ryan J. Walsh, Esq. and his team have years of experiencing representing both the seller, and buyer in residential real estate transactions, and will be there for you from the inception of the deal, seeing it through all the way to closing. When purchasing a home or apartment, few realize that the contract is the single most important step in the transaction. Your purchase contract outlines specific details of the agreement, determined by both the buying and selling parties – under which the transaction is to be processed. Precisely what land(s), buildings, and furnishings are included in the offer? And does this agreement outline what items within the property are included in the purchase price? When is the buyer able to take possession and “occupy” the property? All details on the loan, if one is to be obtained, and who is responsible for the loan closing costs? Are there any damages to the property, and if so who will be liable for the repair costs if necessary? And who bears the burden of any future damages that may occur prior to closing? Inspections, inspection costs, and home warranty contracts. At Ryan J. Walsh & Associates we represent a number of lenders, both local and national. This offers our clients the ability to get the best possible financing for their residential real estate transactions. Whether you might be in need of project/construction financing, development credit, mortgage loans, and most other financial arrangements. 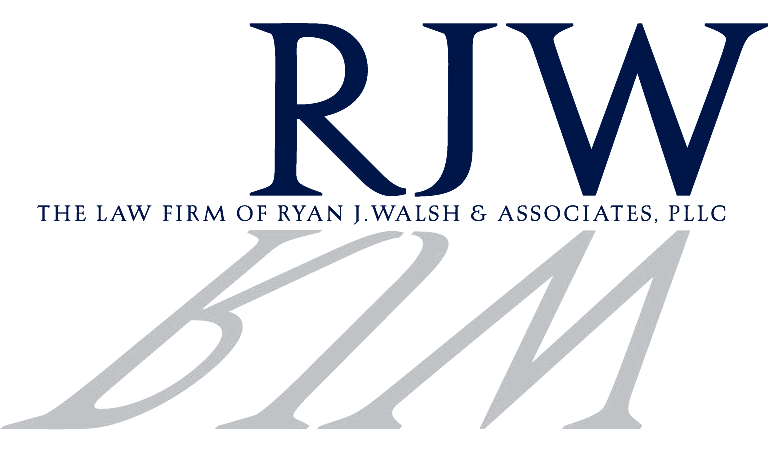 For more information on how Ryan J. Walsh & Associates, PLLC, can help you through your residential real estate transaction contact us today.